We’re nothing without our listeners. Each April CJSW shows our appreciation with a week of special programming, and a giveaway of a limited-edition patch. 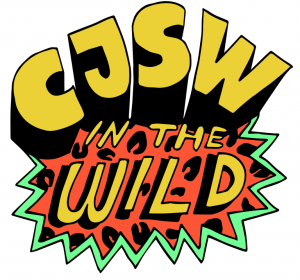 Visit your favourite show page on cjsw.com and claim your very own limited-edition patch. We will mail the patch directly to you in May. We’re unleashing your favourite hosts out of the studio and into the wild with live broadcasts around Calgary. All week long hosts are cooking up radio treasures for you to enjoy. Here’s what you can expect! South Louisiana Gumbo (7-8 PM) Chef Wayne cooks up a brand new dish and plays music from genres he doesn’t usually select.